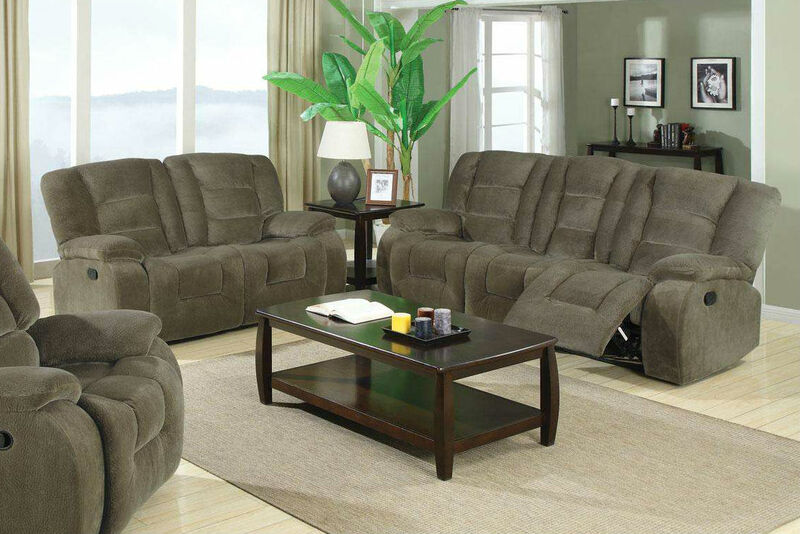 Like its coordinating loveseat, this reclining sofa focuses on creating a casual atmosphere with a comfortable relaxation. Designed to be up-to-date as well as casual, this reclining sofa couch features plush padded cushions with channeled seat backs, pillow topped arms and smooth upholstered sides. 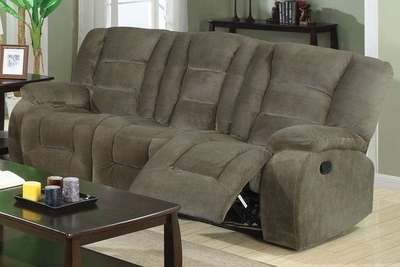 High density foam adds a thick padded comfort while pocket coil seating provides just the right support. Designed with two end recliners that feature attached chaise footrests, this reclining sofa can be paired with the items from its coordinating collection to seat six with five reclining seats.